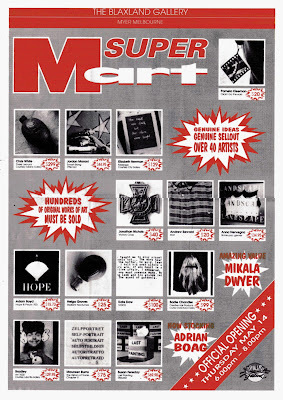 SUPERMart was an exhibition curated by Mikala Dwyer and Shiralee Saul and was part of Melbourne's 'Visual Arts Next Wave Festival'. 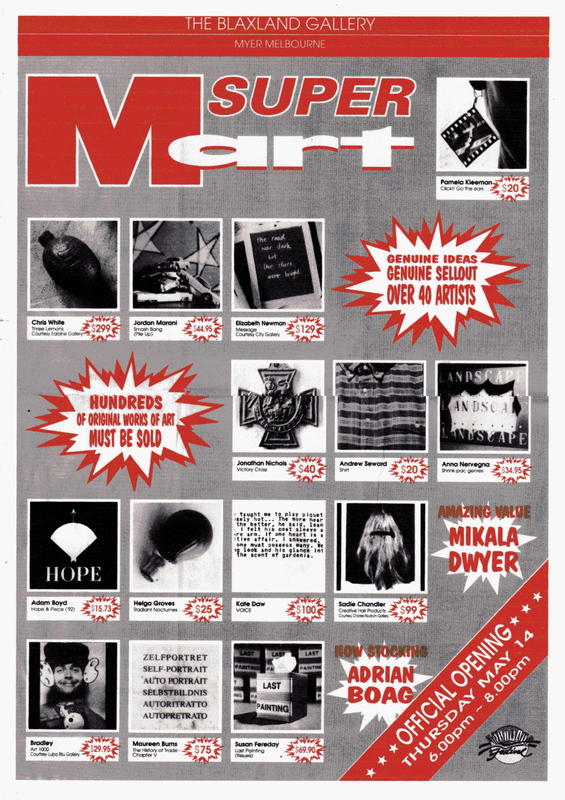 The exhibition was 'an inquiry into the nature of contemporary art practice, the current status of the art object, and the networks of commodification, promotion and market strategy which surrounds it.....a series of industrial shelving units (will be) arranged to create an impression of a conventional supermarket...installed on the shelves will be a series of discrete objects fabricated by approx. 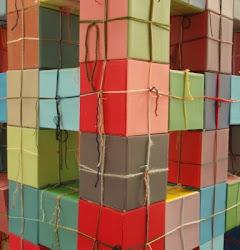 30 emerging artists from Sydney and Melbourne...most of these works will be multiples' (exhibition rationale, Shiralee Saul, 1992). 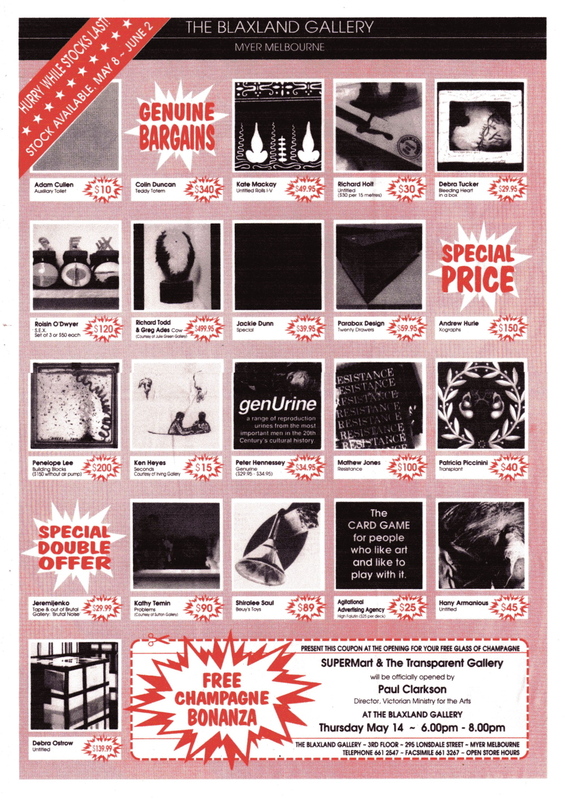 An A3 sized 'supermarket flyer' was produced as the exhibition catalogue.